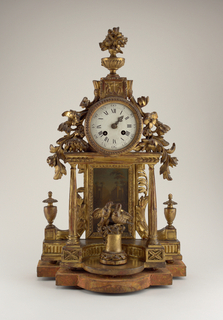 See more objects with the tag interior decoration, timekeeping, decorative, carved, clock. See more objects with the color darkslategrey saddlebrown darkolivegreen or see all the colors for this object. 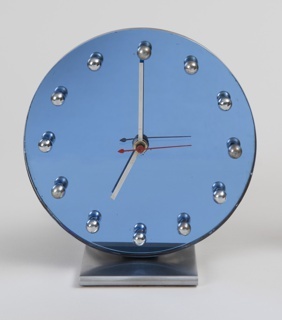 This is a Tall Clock. It was designed by Tiffany & Co. and retailed by Tiffany & Co.. It is dated ca. 1880. 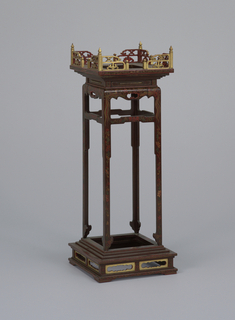 Its medium is mahogany, carved teak with dial faces of gilded and patinated metal, glass. 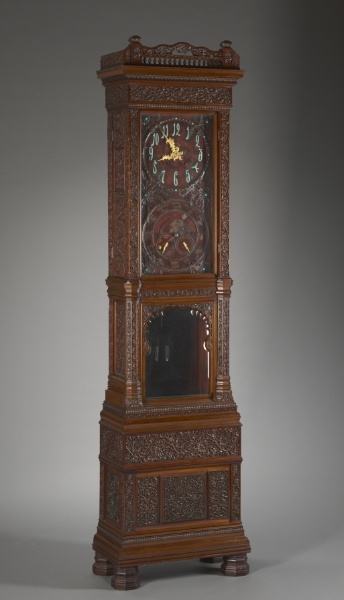 This grand clock reflects the interconnectedness of de Forest with Charles and Louis Comfort Tiffany. 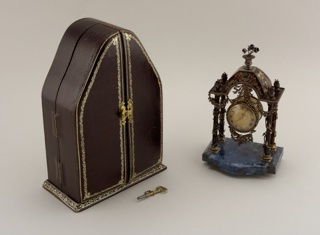 The case is from de Forest’s studio in Ahmedabad, but the works were supplied by Tiffany & Company, headed by Charles. Charles often purchased goods from de Forest, who was friends with his son Louis. 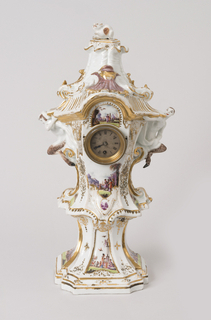 De Forest and Louis had a decorating partnership that dissolved in 1882, but they continued to collaborate on projects. De Forest ultimately sold his interest in the Ahmedabad studio to Louis in 1908. It is credited Cleveland Museum of Art, The Severance and Greta Millikin Purchase Fund,1992.70. wood, gesso, gilding, metal, paint. lower dial face inscribed: Tiffany & Co., Makers. 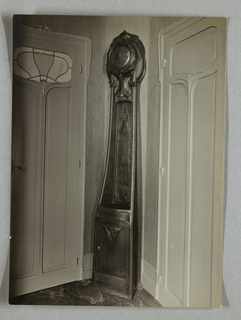 This object was previously on display as a part of the exhibitions	Passion for the Exotic: Louis Comfort Tiffany and Lockwood de Forest and Passion for the Exotic: Lockwood de Forest, Frederic Church.